﻿ Maladee Hotel, Uttaradit | FROM $15 - SAVE ON AGODA! "I enjoyed my stay at Maladee." Have a question for Maladee Hotel? "Nice hotel with big rooms lots of onsite parking"
"Maladee hotel is very affordable and clean." "In addition, free high speed wifi and Breakfast are provided." 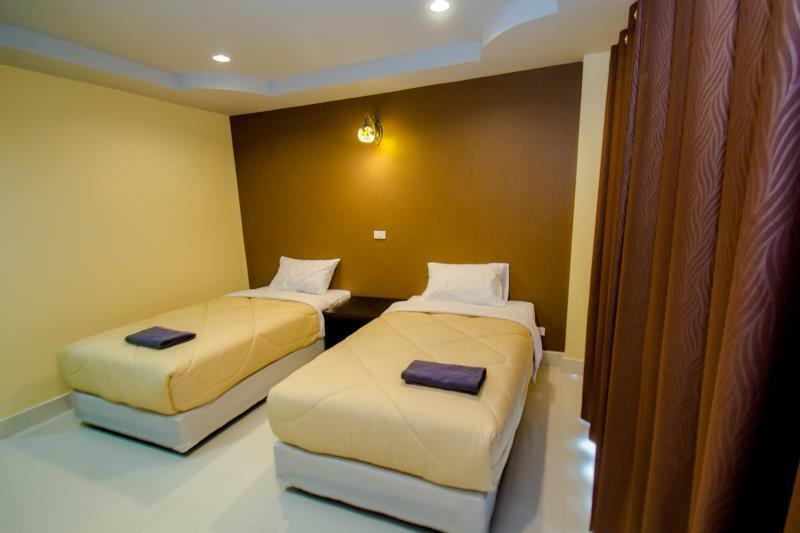 Built in 2016, Maladee Hotel is a distinct addition to Uttaradit and a smart choice for travelers. The excitement of the city center is only 2 km away. With its convenient location, the hotel offers easy access to the city's must-see destinations. The facilities and services provided by Maladee Hotel ensure a pleasant stay for guests. The hotel provides free Wi-Fi in all rooms, daily housekeeping, private check in/check out, wheelchair accessible, express check-in/check-out to ensure our guests the greatest comfort. 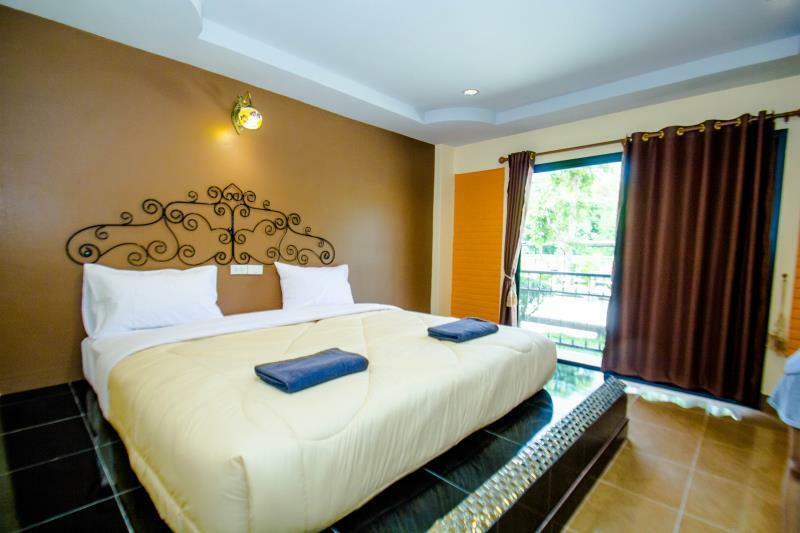 The hotel features 47 beautifully appointed guest rooms, many of which include television LCD/plasma screen, towels, closet, internet access – wireless (complimentary), air conditioning. Throughout the day you can enjoy the relaxing atmosphere of the garden. Discover an engaging blend of professional service and a wide array of features at Maladee Hotel. "The staff were very friendly and helpful." Their room is spacious and clean. Their bathroom is also big enough. They have plenty of parking space. However, the hotel is quite away from town and no public transportation, you need to bring your own car. Their staff are ok. 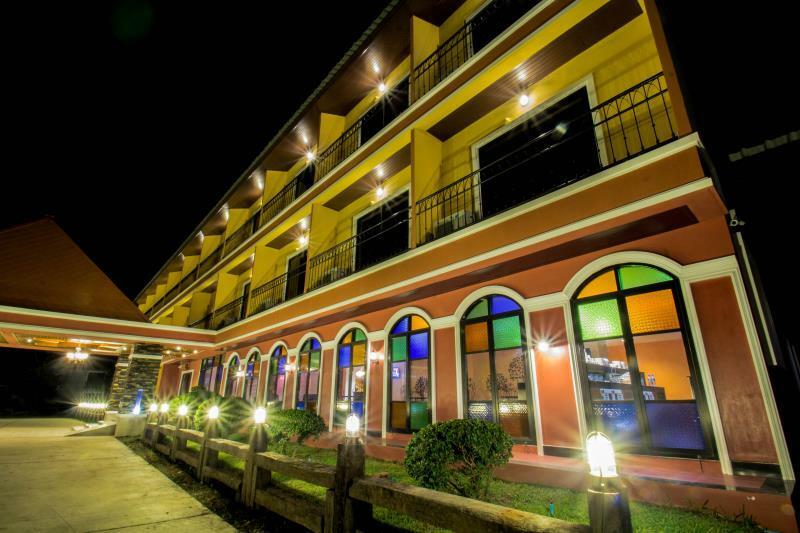 This hotel is value for money for one night layover in Uttradit province. The hotel is far from the city centre. Poor breakfast, badly built bathroom where the shower water doesn’t drain and it floods the floor, each time I went to the toilet I walked back to the room with wet feet ! Wifi so so. The most annoying thibg was that, despite the hotel was half empty, they put me on the third floor (no lift) in the most faraway room, and this despite I asked a room nearer the entrance. The reason was that probably I was on a Agoda booking, not a “good customer”. 2km from centre city, 1km there is a big lotus with everything; food, drink, shops etc. Ok, it's another place which seems to cater to long term stayers but does travellers to fill rooms. The only downside here is that the staff really have little interest in customer service. That said the hotel itself is almost new and quite beautifully finished and decorated. 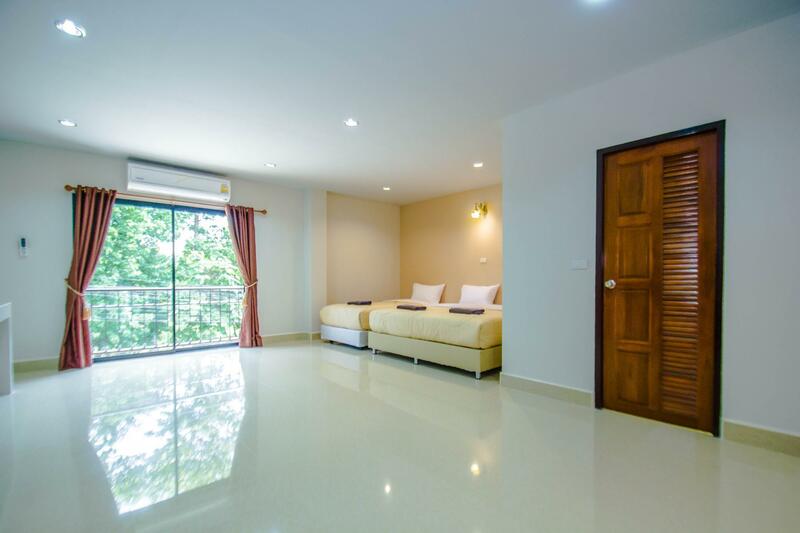 The rooms are BIG, comfortable and clean. It's a little out of town so best if you're independently mobile. And it's very quiet, at least until early morning when the temple next door cranks up the loudspeakers. If you've spent any time in Thailand you'll be used to that anyway. The criteria that matters, of course, is 'would I stay here again?' Yes. At the price it's great value. If you do not have transport don't stay here. The hotel reception had NO idea about our booking when we arrived which to be fare was probably earlier than I thought. After a period a new staff member arrived and it was sorted. There is NO lift so dragging your suitcase up the stairs is a bit of a challenge especially with the steps that are not all even, once at the top it then steps down again, it has a sign but its odd a quirk of Thai building. The hotel was quiet and we had a good nights sleep in a comfortable bed. The bathroom was big with a good supply of hot water from the shower unit on the wall. Breakfast consisted of a couple of dishes which I found too hot. There was toast and jam coffee and tea. There were not enough power points in the room. It had a hot water jug which I enjoy and a lot of places don't have it. There was a 7/11 just down the road but NO food outlets nearby. For the price it was good value. quiet but the floor is not same step .there are no warning .i have the accident ,when i walk through thefirst floor thru secod floor . I enjoyed my stay at Maladee. The staff were very friendly and helpful. Maladee hotel is very affordable and clean. In addition, free high speed wifi and Breakfast are provided. Overall, maladee felt like a resort to me and qould recommend to anyone. Le déjeuner est froid, sommes demeurés 2 jours et le déjeuner froid les 2 matins. Tout était très bien sauf pour le déjeuner, tout est froid aucun réchaud. Aucun poste anglais our français à la télé.